We are Jim and Kellie, a retired couple living full time in our RV and traveling North America in our Heavy Duty RV Hauler, 5th wheel and Smart car. We get to have the freedom to travel the continent, soak up all this beautiful land has to offer, and then fall asleep in our own beds! We are Believers and really enjoy visiting different churches while we travel and are connected with Limitless Church Spokane. "The Valley", as the locals like to call it, is actually the Rio Grande Valley. 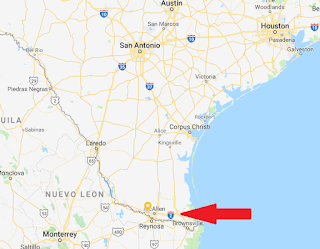 It sits in the very southern tip of Texas. We arrived on Sunday the 30th and were immediately surrounded by the folks that had already established their presence here for the winter. The locals call us "Winter Texans", and there are signs everywhere stating "Welcome Winter Texans!". Not only do the Winter Texans bring in money, but they also bring caring folks that like to get involved in the community. We discovered that many of our new neighbors volunteer in community organizations such as animal shelters, community centers and local food banks and shelters. There are a number of RV parks in the area. Most of the Winter Texans that we've met are from the upper mid-west and Canada. The area is popular to those folks due to the mild winter temperatures and relatively short driving distance. We've discovered that most winter travelers from the west coast like the Arizona area, most of the east coast winter in Florida and this area has a lot of upper mid-west residents. To give you an idea of where we are, we're 360 miles southwest of Houston, 500 miles south of Dallas, 740 miles southeast of El Paso and 2350 miles southeast of Spokane. The temperatures have been very comfortable. The average for this area is 70 during the day and 50 at night. We've seen highs in the low 80s and don't miss the snow. As soon as we arrived we were invited to a New Year's Eve celebration and dance. We accepted the invitation and had a great time. Kellie and I can't remember the last time we stayed up until midnight! We're really looking forward to visiting some of the local attractions. 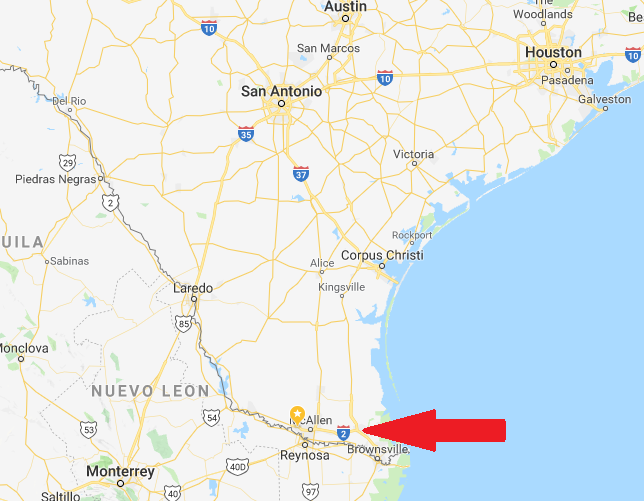 South Padre Island is just a short drive away, although we've been warned not to go in the month of March due to spring break crowds. We are also looking forward to visiting Nuevo Progreso, Mexico. We've been assured that the area is safe to visit and the food and attractions are wonderful. We'll visit with a caravan of locals that go a couple times each month. We're really looking forward to the mild temperatures and local attractions over the next few months and we've already started talking about different videos that we can share. Stay tuned to our YouTube channel for some fun videos of the area. I lost my friend today....our dog Jake. 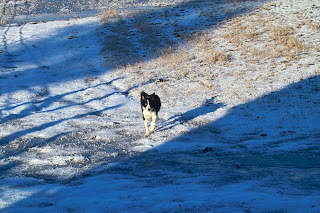 Jake came to our family when we bought a ranch north of Spokane. We figured that since we had a ranch we needed to supply it with all kinds of critters! We did a lot of reading about dogs and their character since this was our first dog. We knew we didn't want a fu-fu dog on a ranch and we wanted one smart enough to help us with the horses. We decided on a border collie after quite a bit of research on different breeds. We visited a breeder north of town and initially thought one dog would do the trick. We looked at all the puppies and decided on one (Max) but couldn't quite take our minds off one of his brothers....so we bought two! We took Max and Jake home with us and immediately became attached. They were playful pups and really, really cute. Well we finally did it....we purchased an HDT. After over a year researching, looking and learning we found a truck to suit our needs. 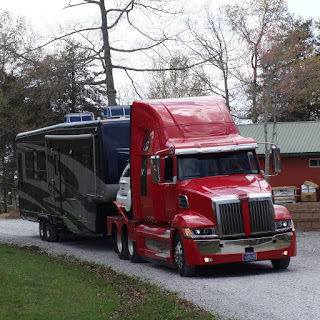 It's a 2016 Western Star that has been converted to a motorhome. It has all the bells and whistles you might expect on a newer vehicle and will take some time getting used to. It has a sleeper, refrigerator, microwave and inverter - as well as 240 gallons of diesel (that's over 2400 miles of driving without having to fuel!). We're learning as we go! We have finally discovered how to subscribe to our media posts....IF you are interested. If not, that's fine because we are really doing this for ourselves. 1. Enter your email address in the upper left corner of the main page, then select "get email notifications"
2. You will be prompted to enter an - I am not a robot - code. 3. Once you enter the code you will get an email from Feedburner email subscriptions with a link that you have to click, and you're done! Each time we publish a new blog post you'll get an email telling you that it has been posted. 1. Go to this (Link) and select the "Subscribe" button on the right side of the page. 2. If you want to be notified of all new videos that we produce click the bell icon next to the "subscribed" button. We are Jim and Kellie, a retired couple living full time in our RV and traveling North America to see the sights, fulfill our dreams and meet wonderful people. We get to have the freedom to travel the continent, soak up all this beautiful land has to offer, and then fall asleep in our own beds! We are Believers and are connected with Limitless Church Spokane.